Winter Birds of a feather craft together. 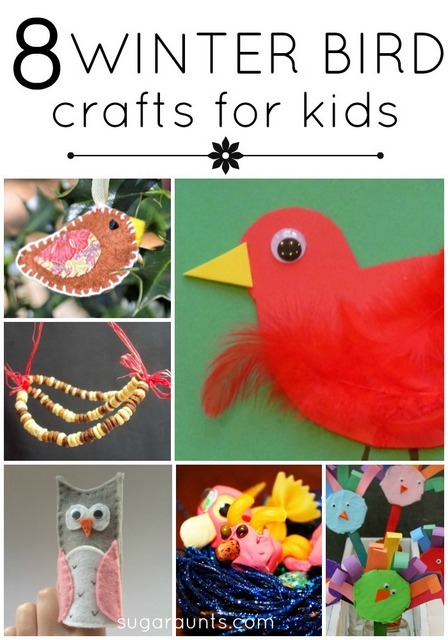 These bird crafts and activities are sure to keep the kids having fun this winter. We loved this week's round up of features and added a few extra bird ideas for winter bird fun and play. B is for Birds and Beans Play Dough activity from My Bright Butterfly- perfect for winter-time indoor play. Catapult Birds from Therapy Fun Zone- I LOVE this activity for fine motor play!